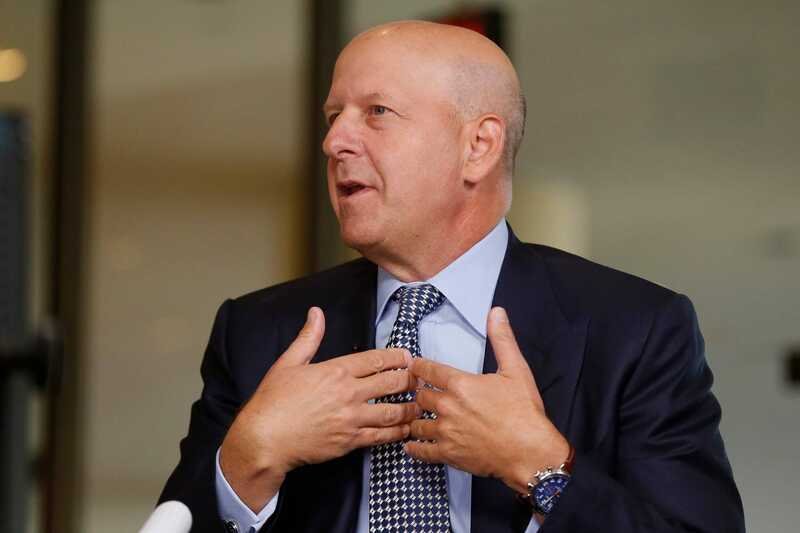 Harvey Schwartz, co-president and co-chief operating officer of Goldman Sachs, is retiring next month, leaving fellow co-president and co-COO as the sole heir apparent to CEO Lloyd Blankfein. Here’s Solomon’s best career advice, which he gave during an episode of the firm’s podcast. It just became a lot clearer who will replace Goldman Sachs chief executive Lloyd Blankfein when he formally retires. The bank announced Monday Harvey Schwartz, one of the two men considered as a potential successor to the billionaire banker, is retiring next month, leaving David Solomon as the sole candidate to replace Blankfein when he steps down. Solomon, who was appointed to his current position as co-chief operating officer and co-president in 2017, has been with Goldman since 1999. As such, he’s had a few resumes come across his desk. But during an interview on the firm’s podcast, “Exchanges at Goldman Sachs,” Solomon offered his best career advice, saying the resume is not the be-all and end-all. People with poor communication skills, he says, are not doomed for failure but they could face more barriers. Solomon also shared the advice his father gave him when he was younger, which he also passed on to his daughters: Take some accounting. Accounting, according to Solomon, is useful because it helps people understand how to run everything from a home to a giant company. That said, Solomon said it’s important for students to follow their heart when it comes to the subject they get their full degree in. “And when you dig into things that you have some passion about or some interest in, you go a little deeper, you work a bit harder,” he said. As for Solomon, he had a less-than-typical career path – he skipped the Ivy League and studied political science at Hamilton College in upstate New York.